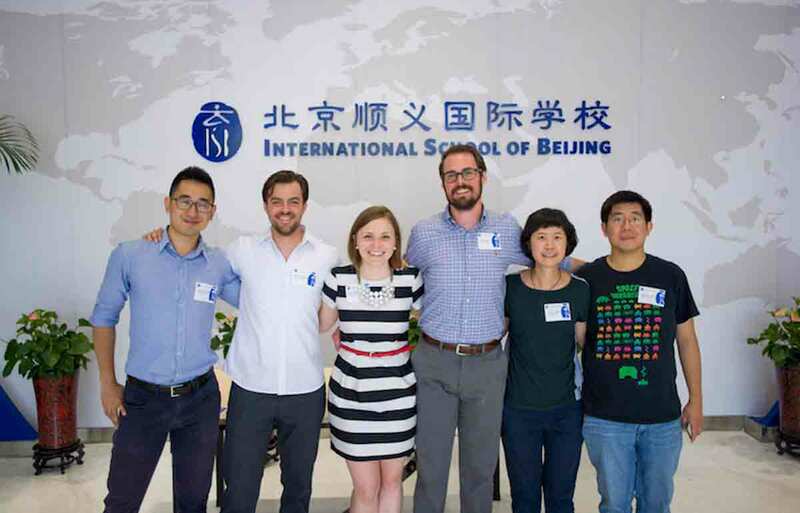 More than 60 International School of Beijing (ISB) alumni attended this year's reunion on May 26, 2017, in a gathering that combined fun, friendships, and festivities. 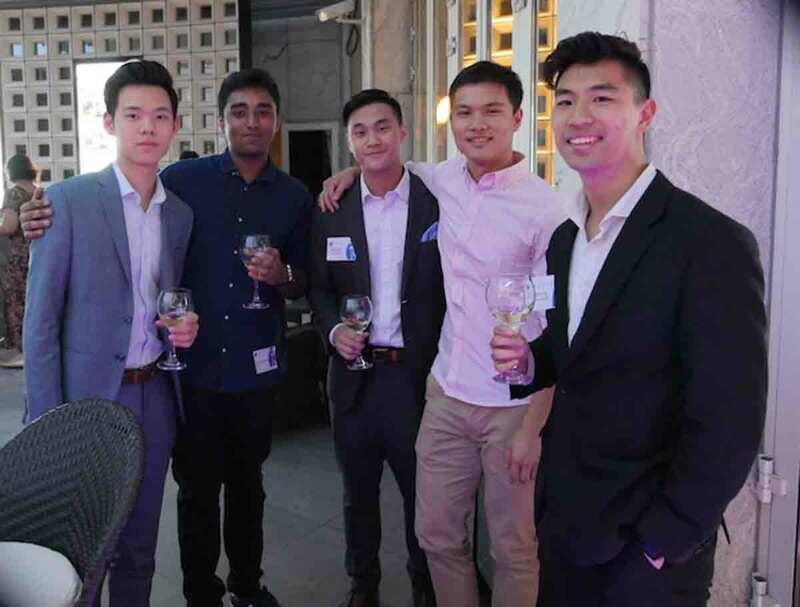 It was a case of the old mingling the new for those in attendance, with the graduation years of alumni at the annual event spanning from 1999 to 2016. Most alumni were from the classes of 2002 and 2007 in celebration of their 10- and 15-year reunions respectively. Among the latter group were husband-and-wife Dragon couple Seth and Sarah Raatz, who tied the knot in Michigan in December 2014. For Seth, whose parents Stephen and Holly both taught at ISB, it was a particularly special opportunity to return to the school so memorable to his family. During their attendance at a seniors' graduation rehearsal, six alumni shared tips on college and career choices. Among their advice was to resist pressure to pursue a career related to their university major, to understand their individual strengths and opportunities when they arise, and to enjoy the college experience. In keeping with tradition, the alumni versus varsity volleyball and basketball games were held in a battle of youth against experience. 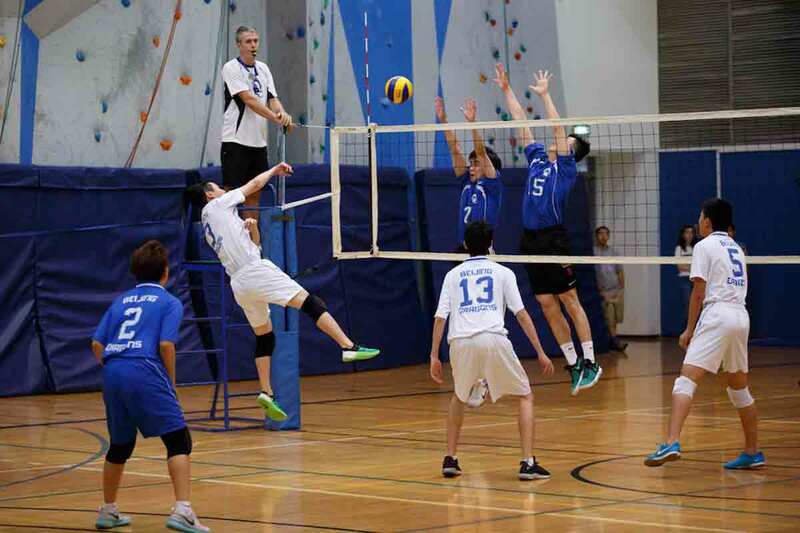 On this occasion, the varsity team won the volleyball 15-11 and the basketball 69-64. 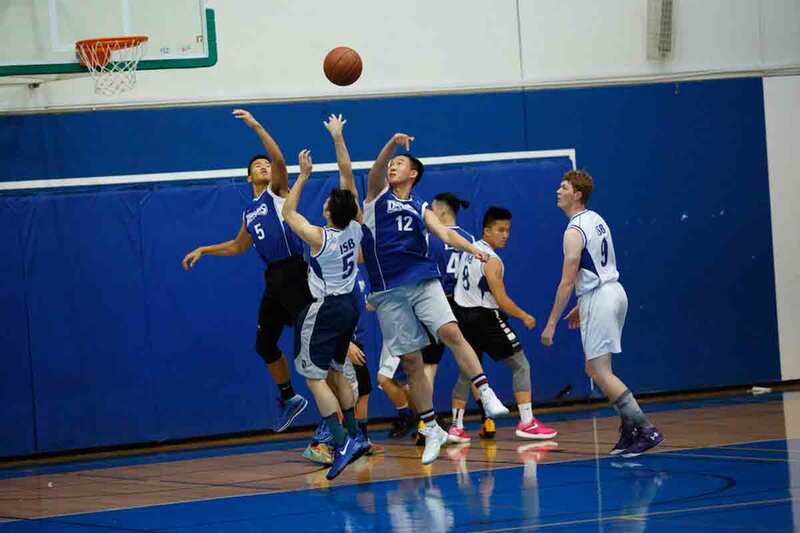 "It was a great game, with the alumni building a 23-point lead at one point behind the hot shooting of Alex Huang. In the second half, the varsity team played better defense and took the lead for good in the fourth quarter," noted varsity coach Bruce Weir. 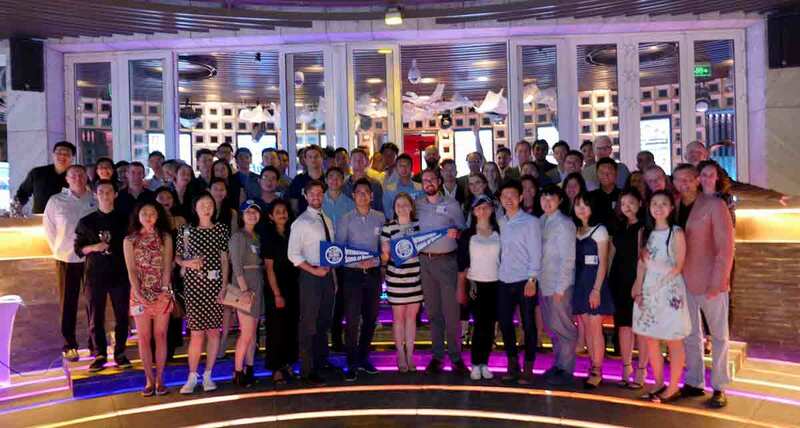 Fine dining was also part of the reunion experience, with an alumni dinner held at the Conrad Beijing downtown. Joining their former students were long-serving ISB teachers Bharat and Mala Jogi, Breen O'Reilly, Cindy Buteel and Réjean Cote, in addition to the school's newest administrator alumni: outgoing Head and Deputy Head of School Tarek Razik and Mark Hardeman!